Viknesh Vijayenthiran March 21, 2018 Comment Now! 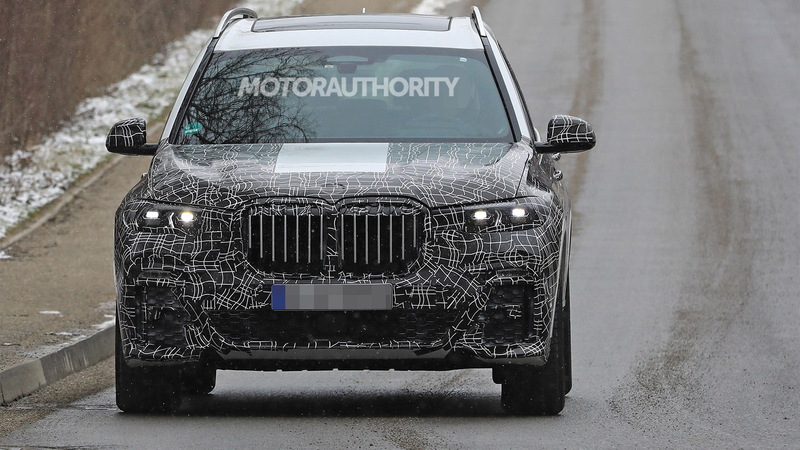 After years of sitting on the sidelines, BMW is about to jump into the full-size luxury SUV segment with the new X7, previewed in concept form just last year. Talk of an X7 dates back more than a decade but BMW was reluctant to launch such a model for most of that time, focusing instead on smaller vehicles. Strong demand for an SUV positioned above the X5 and X6, especially from China, finally in 2014 persuaded managers to give the project the green light. The new model will compete against rival full-size SUVs in the luxury arena such as the Cadillac Escalade, Infiniti QX80, Land Rover Range Rover, Lexus LX 570, Lincoln Navigator, Mercedes-Benz GLS, and upcoming Jeep Grand Wagoneer. 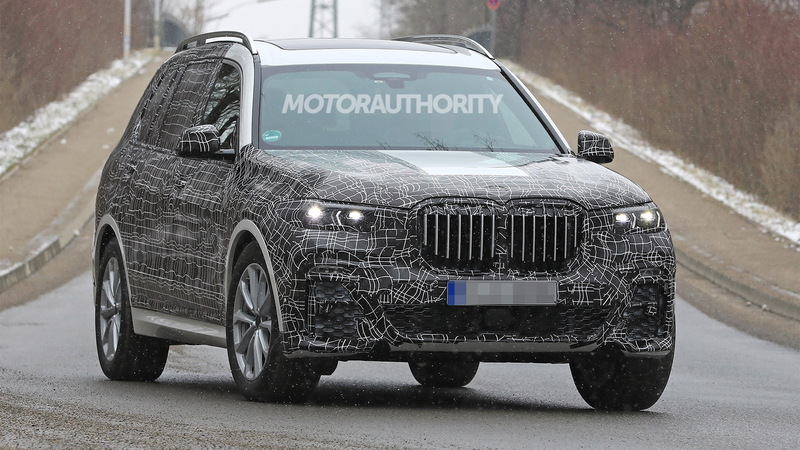 2019 BMW X7 spy video from Motor Authority on Vimeo. Looking at the prototypes, there are no surprises regarding the design. 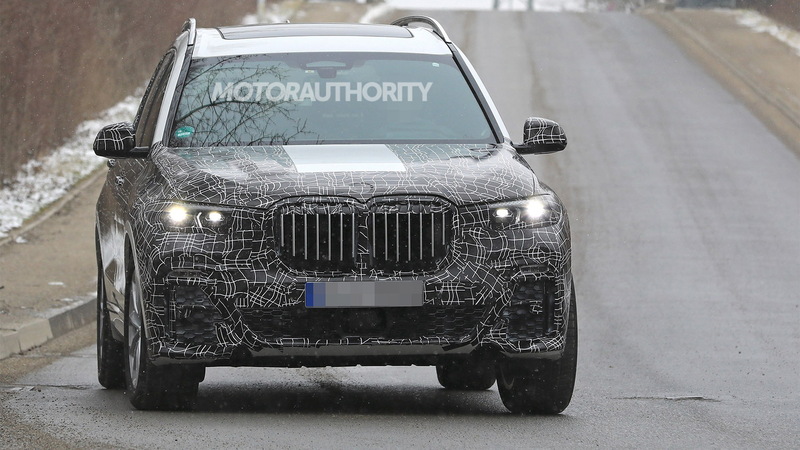 The X7 resembles a stretched version of prototypes already seen for BMW’s next-generation X5, albeit more muscular, especially around the front section. The platform of the X7 is BMW’s flexible CLAR design, a modular platform that will eventually underpin most of the automaker’s models sized from the 3-Series up. It made its debut in the 2016 7-Series and has since appeared in the 2017 5-Series. Lightweight construction is central to the CLAR platform. Another key element is the compatibility with electrified powertrains. 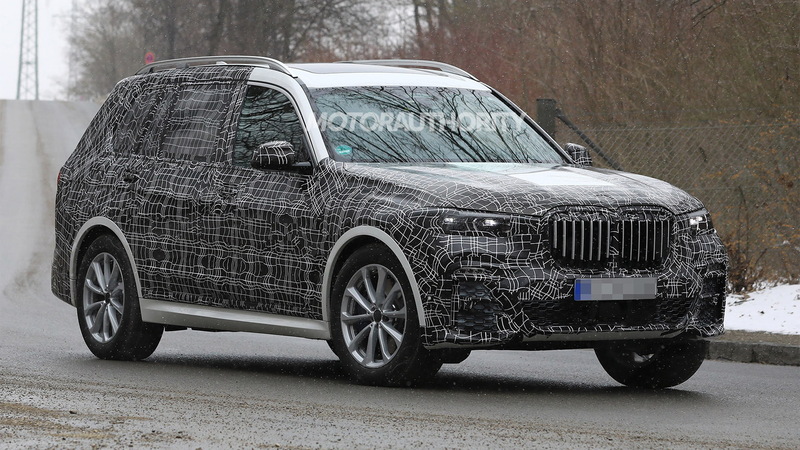 We can expect the X7 to feature a plug-in hybrid powertrain in addition to regular V-8 and inline-6 options. 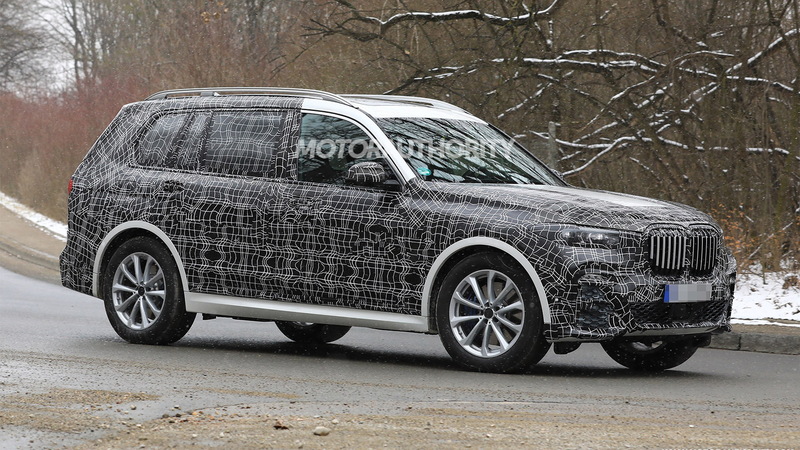 It’s possible a V-12 will also be offered; if so, expect to see it in M760i M Performance trim. Inside the X7, there will be three rows of seats and a cockpit design similar to what’s found in the 2016 7-Series. Expect a driver-focused layout and an advanced infotainment system complete with gesture control. Production will take place at BMW’s plant in Spartanburg, South Carolina. The first pre-production units are already rolling off the line. Customer examples should follow soon as BMW has confirmed the vehicle will go on sale in 2018, which means we’re likely to see it arrive as a 2019 model. The debut is expected to take place this November at the 2018 Los Angeles auto show.